Color projects 5 is the latest version of FRANZIS' software that gives images more punch and pizzazz. Software creators, FRANZIS, have launched a new version of COLOR projects - software which can help you add the 'wow' factor to your images. 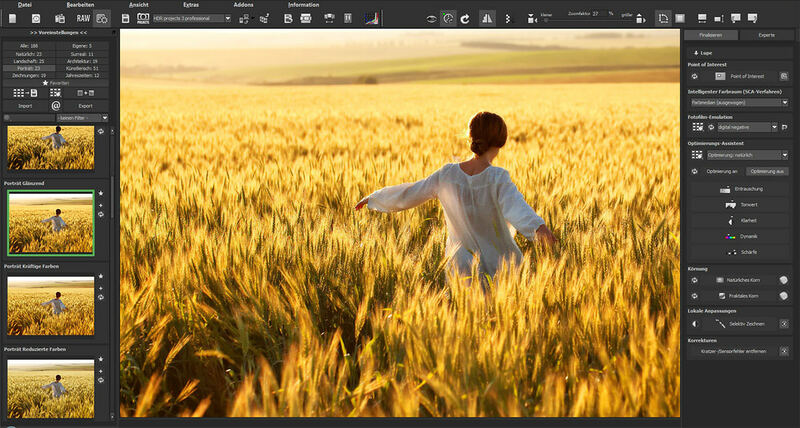 In version 5 of COLOR projects you'll find new filters, colours and retouching tools in a revamped, 4K interface. There's also a new Composing function which can be used to remove entire image regions and replace them with those from different photographs and Color projects 5 can be used as a plug-in with Photoshop. Color Projects 5 is available now and ePHOTOzine members can purchase the software for £39 until 20 February 2017. After this date, the software will return to the full price of £112.62*. For more information, visit the FRANZIS website.